I grew up in Canada and I always enjoyed celebrating Halloween. I have fond memories of dressing up in costumes, carving pumpkins, and trick-or-treating. When I chose Mexico as my country over a decade ago, my associations with this time of year underwent a radical shift. I fell in love with Day of the Dead, and it’s a tradition I’ve embraced wholeheartedly, and I enjoy sharing it with my children very much. Halloween is a fun holiday, but Day of the Dead celebrations have a much deeper significance. Dia de los Muertos is about celebrating connections with family and friends, and it honors those who have passed on before us in a very special way. Add to that fun activities, delicious foods and time spent visiting with family and you have all you could ever want in a holiday. My two children were born and have lived in Oaxaca their whole lives. For them, Day of the Dead is an integral part of our yearly calendar of celebrations, just as important as Christmas or Easter. 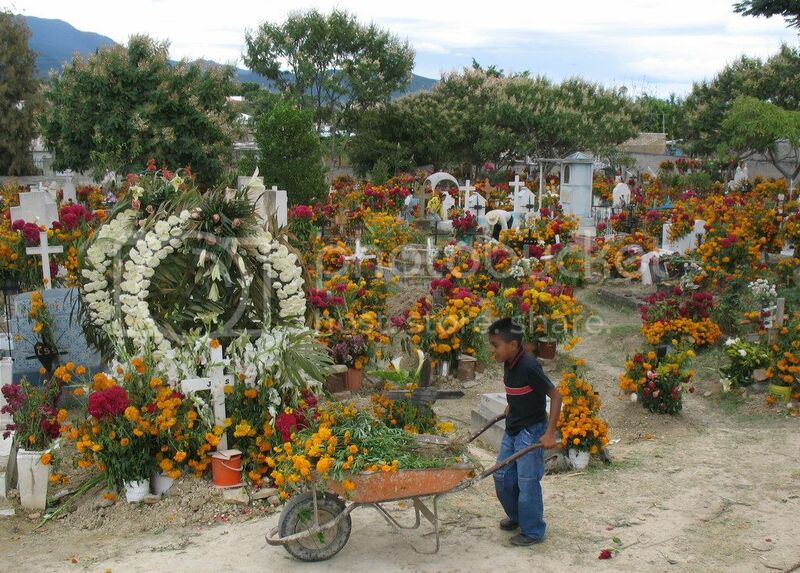 In Oaxaca, children are involved in all aspects of Day of the Dead, from putting together the home altar to cleaning and decorating the graves of family members and keeping vigil in the cemetery. Those are somewhat solemn aspects of Day of the Dead, but there are also playful aspects of this holiday. In schools in Oaxaca there are friendly competitions for the best altar and also costume contests, as well as comparsas, carnival-like processions of people in costume. My children participate in our family observances of Day of the Dead by accompanying me to the market to purchase the items we will place on our altar. We assemble our altar together as a family, and while we do so we talk about the loved ones to whom our altar is dedicated. We remember them as we place the things that they enjoyed in life on the altar for them. We go to my father-in-law’s grave and decorate it also, and we often visit other cemeteries, because they’re decorated so beautifully at this time of year. I’ve found that the task of explaining death to my children is easier in light of Day of the Dead. I think it’s extremely valuable to teach children about death before they have to deal with it personally, so that they have a concept of death and what it means before it touches their lives. Day of the Dead offers a socially prescribed way to deal with loss, not just when it happens, but every year at a specific time. My father-in-law passed away when my daughter was four, and that year she went through a period of a lot of questioning about death. Framing our discussions of death within a context of Day of the Dead made it a lot easier to explain. In the years following his death, Dia de los Muertos became a special time in which we could remember him, bring out photos, and talk about our memories of him. 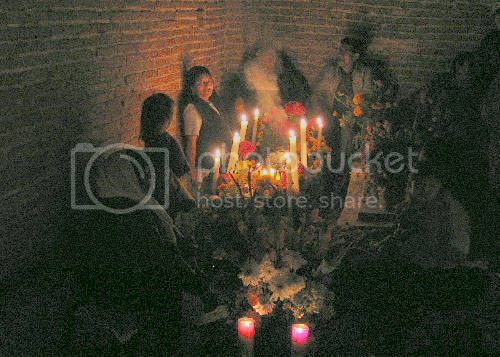 The scent of marigolds mingled with copal incense, the taste of pan de muerto dunked in hot chocolate, and the sight of cemeteries festooned with flowers and lit up with candles, are some of the memories I hope my children will carry with them. Celebrating Day of the Dead adds depth and meaning to our lives; it offers us a moment to remember those who are no longer with us and reminds us to enjoy our time together because we’re aware it won’t be forever. 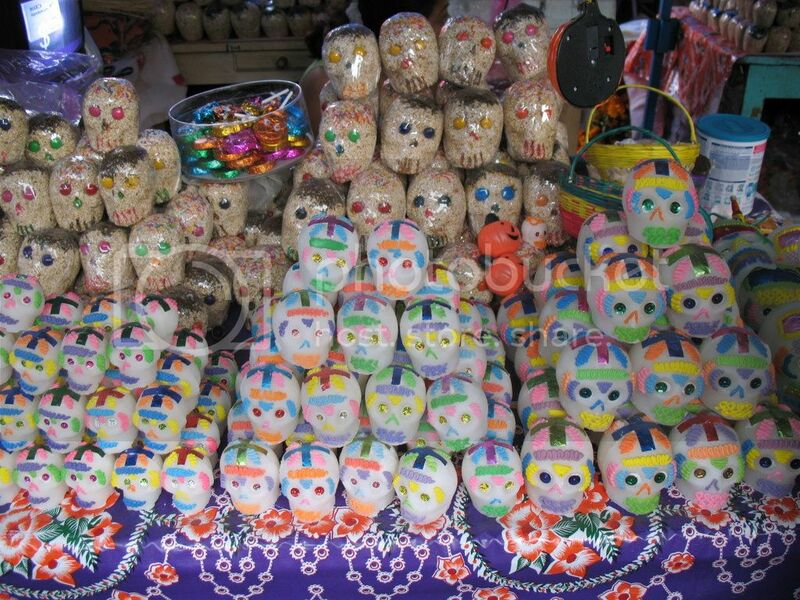 Learn more about Day of the Dead in Oaxaca. Have you downloaded your printable Calaverita yet? Go here to download and to find out how you can win $100 by sharing your kid’s Calavera personalized art! Follow all our Day of the Dead art, crafts, recipes and more here! Suzanne Barbezat grew up in Montreal, Canada, but made her home in Oaxaca, Mexico, where she lives with her Mexican husband and their two children. 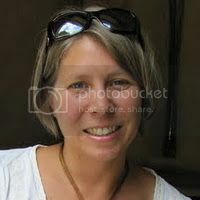 She shares her love of Mexico on About.com’s Mexico Travel site (gomexico.about.com), and she is a Mexico Today contributor.